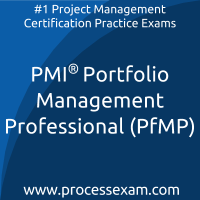 Are you looking to achieve PMI certification and become a certified professional? 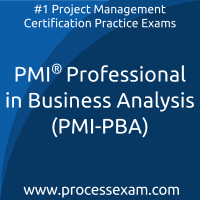 We have good news for you; we have a solution, which can help you clear the PMI certification. We are here to assist you in achieving your goal by using our online certification practice exam platform. 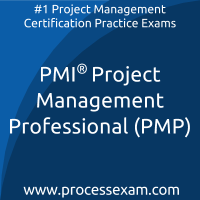 With tons of experience in the field of Project Management, our team of expert has designed these practice exams which simulate actual PMI certification exam environment. 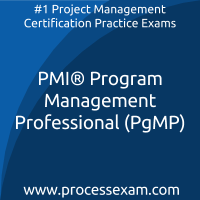 We recommend you to use our online PMI certification practice exams for your test preparation. These practice exams will help you to validate your knowledge and identify the areas which need improvement, it will make you familiar with PMI certification exam pattern and question format. The PMI certification enhances your skills and knowledge by exposing you to real-time business scenarios and case studies. The most important value PMI certification adds into your career is the endorsement from the PMI that says you know what you are doing. I think mock tests are quite important if you want to achieve a good score in the CAPM certification exam. Hence, I chose the best ones online that changed me forever. 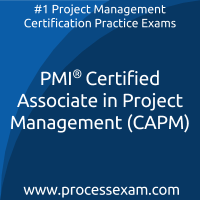 Now i can confidently answer any question related to the PMI Certified Associate in Project Management exam because i have become quite thorough in it. Scoring this much in the first attempt at PMP exam is an achievement I must say. I am here to thank the makers of the Project Management Professional practice questions and making them easily accessible online to aspirants like us who are not aware of good resource material online. By far, this is the best practice material amid all the online and offline ones that I have come across recently. PfMP mock tests made me what i am today. The number of questions i got for practice was enough to pass the Portfolio Management certificate exam. PMI Business Analysis mock tests helped me score good in the exam. There is a need to compare the performance and also to judge the answers on the basis of correct answers which are available along with 620+ practice questions available in the PMI-ACP mock tests. 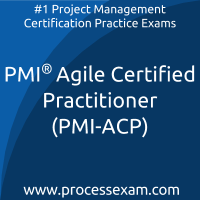 This helped me so much that i was easily able to clear the PMI Agile Certified Practitioner certificate examination with good scores.